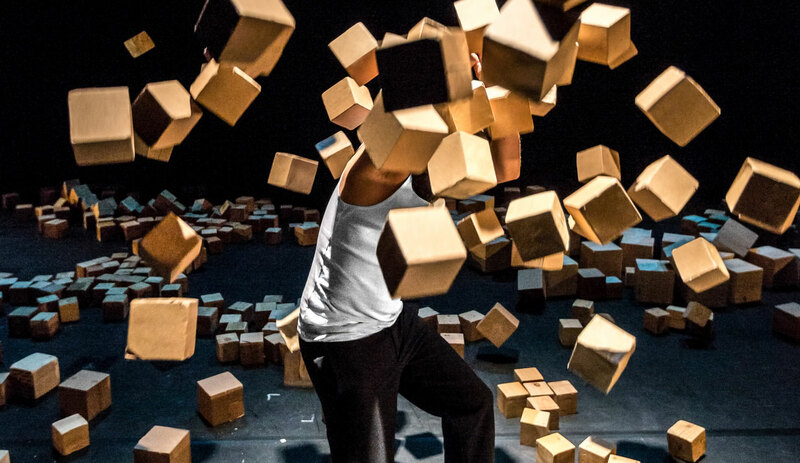 Tesseract brilliantly does what circus arts are meant to do – transform the ordinary into the extraordinary. 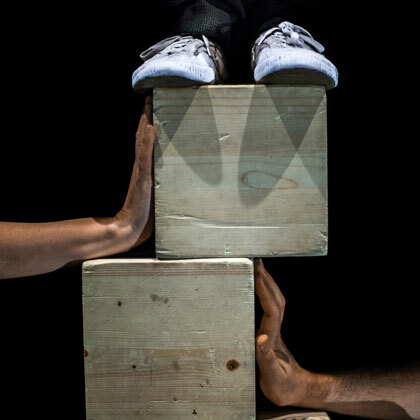 After ten years as a highwire specialist, Nacho Flores puts incredible balancing skills to the test in climbing fearsome stacks of teetering wooden cubes that rise like mountains and topple like dominoes. The result of three years research, Tesseract (in geometry a complex cubic form) is unlike anything you’ve seen before. Combining circus, architecture, puppetry, video and live music, it’s a surreal, witty and gravity-defying adventure in a shape-shifting landscape. With every action played out in precarious situations, the tension never slips. 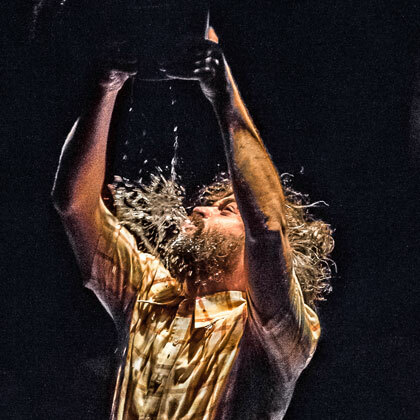 Born in Madrid, Nacho Flores trained in theatre and circus in Amsterdam, honing his skills at the Moscow Circus School and at Le Lido in Toulouse. After working with various Big Top productions, he took time out to develop his own show, using new technology, and bold new balancing techniques he created for himself. 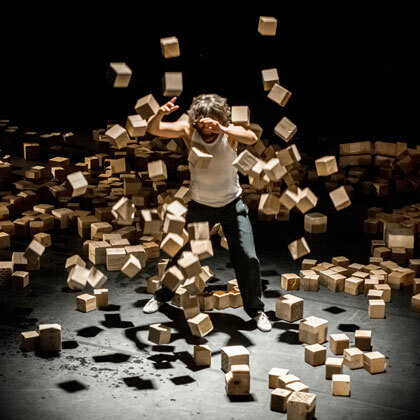 Tesseract, a CircusNext winner in 2014, is the highly acclaimed result.